This gem comes from one of our favorite Scotch houses – Highland Park. Not only is Highland Park 18 one of the most perfect spirits that I have been fortunate enough to taste, the Edrington Group, which owns Highland Park is simply amazing. Long a family enterprise, they fought off multiple hostile takeover attempts by Seagrams in the 1950’s, consolidated their holdings into the Edrington Group, which is owned by the Robertson Family Trust (the family that had long owned the assets that formed the Edrington Group). The goal was to retain control, keep jobs in Scotland and donate money to charity. I have to admit that I have been just a little bit obsessed! The latest release from Highland Park is the first in a collection of four scotches with a release occurring every year, starting in 2012. It appears that each release will be named after a Norse god, and the first release is called Thor after the Norse god of thunder and war. Check out the Thor website. 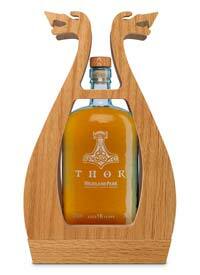 One may wonder why a Scotch house is paying homage to Norse gods. I know I asked myself that question. Well, it turns out that Orkney, the island where Highland Park is distilled, is actually as Norse as Scottish. The Vikings moved into Orkney in the 9th century and controlled it until the 15th century when the Scots gained control. In fact, the Vikings used Orkney as a base for raiding Britain, Scotland and other lands, including their brethren in Norway. Palate: Dry, well integrated but fiery alcohol, medium body, pronounced intensity of cooked peaches, dried apricot, sultants, treacle, heather, barley, candied ginger, vanilla, cardamon, nutmeg, brine and peat. Medium plus to long length with a balanced, complex finish of candied ginger and peat. Rating: Very good. 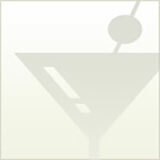 The scotch was complex with fruit, flower, spice and peat notes and well integrated alcohol. We found this bottling to be more peat intensive and fierier than the Highland Park 18.